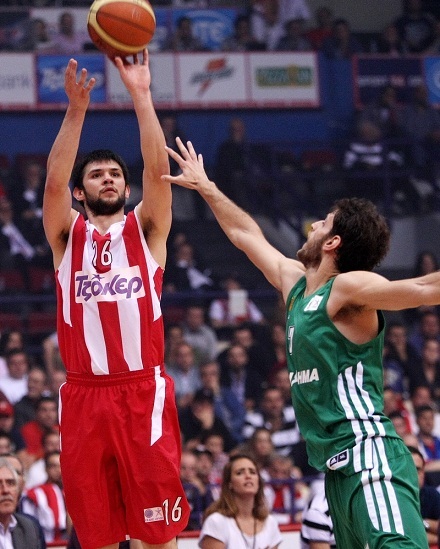 The Hoop: Kostas Papanikolaou who?!? You're possibly going to be cheering instead of booing in a couple of years. The video of the announcement of the number 48 NBA Draft pick by the New York Knicks toured around the world through the magic of Youtube. The average Knicks fan may have never heard of the Greek forward before so their reaction is justified. It's also very likely that the same people that booed the announcement of his name will be the ones cheering in Madison Square Garden. Kostas Papanikolaou(2.03-SF/PF) has worked hard to get to where he is today and he has earned his draft spot with lots of sweat and effort. For the people who don't know what sort of player he is I'll give you a brief description. 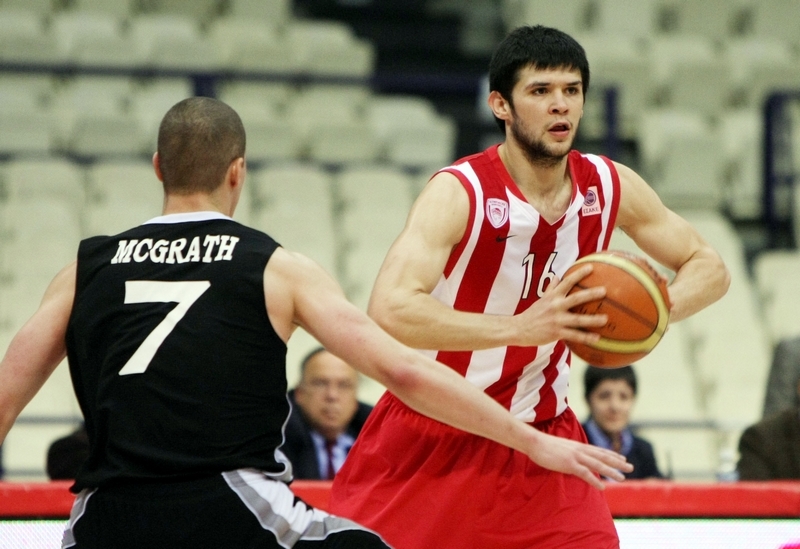 There are players that stand out as scorers but Kostas Papanikolaou is not one of them. 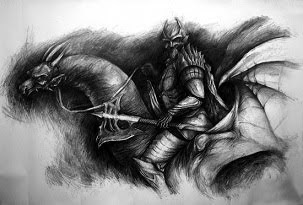 For now at least. One day he might fill those shoes consistently but for now Kostas Papanikolaou is a player that binds a team together, the unsung hero, or as I like it to call it the team's catalyst. He was the hero for Olympiakos during the Euroleague finals, the unsung MVP. Against Barcelona his defense dismantled the offensive efforts of veteran star Pete Mickeal forcing him down to 1/8 field goals, he scored 9 points and pulled down 4 rebounds himselm propellng Olympiakos up the hill towards the financial behemoth of CSKA. Where he shone mostly, was during the final where he played like a seasoned veteran both offensively and defensively against superstar Andrei Kirilenko. He scored 18 points while taking critical shots, achieving a career record and outscoring the undisputed leader of Olympiakos and former NBA-passer-by Vassilis Spanoulis. Papanikolaou is a player that excels as small forward and in Europe he can even cover the power forward position. He is a tenacious defender with great motor and a high basketball IQ. What most people don't know is that when he was playing for the youth teams of Aris BC where he started, he was also playing the point guard position but as he grew he moved 2 positions up where he would find his niche at men's level as a forward. His shooting is quite streaky at the moment but he has all the time in the world to work on that. It's very likely that in the new Olympiakos his playing time will increase dramatically so he'll get plenty opportunities to work on another aspects of his game such as his off-the dribble shooting and posting-up opponents. He's been specializing in cuts towards the basket the last 2 years and he knows how to move without the ball. He started playing basketball in Proteas in Grevena in Greece where he was spotted by the people of Aris BC who tried to promote him to the men's team. However the team's less than reliable(previous) administration had the team firmly in debt and considing with his stellar performance in the Young National Teams of Greece managed to sell Papanikolaou to Olympiakos for 950,000 euros making him one of the most expensive purchases in European basketball. It's true that Knicks fans will have to wait a couple of years more to see Kostas Papanikolaou play but he is a player that can make an impact with his game and make the team around him better. Maybe this is a learning curve for NBA fans to watch the European basketball market more closely. Currently it's best for him to stay in Greece for at least one more season and do what he does best and that is work hard.